How to Install phpMyAdmin on CentOS. 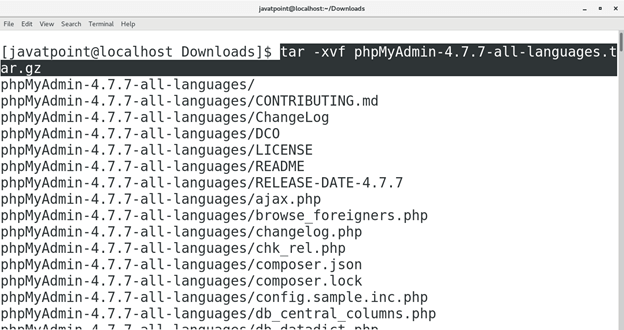 In order to Access phpMyAdmin, we have to download its latest version by clicking the link https://files.phpmyadmin.net/phpMyAdmin/4.7.7/phpMyAdmin-4.7.7-all-languages.tar.gz this is a compressed file in tar.gz format which needs to be extracted. Execute the following command for ths purpose. Change the current working directory to phpMyAdmin-4.7.7-all-languages by typing cd phpMyAdmin-4.7.7-all-languages and then execute the followng command to start the PHP development server listening on port 8081. 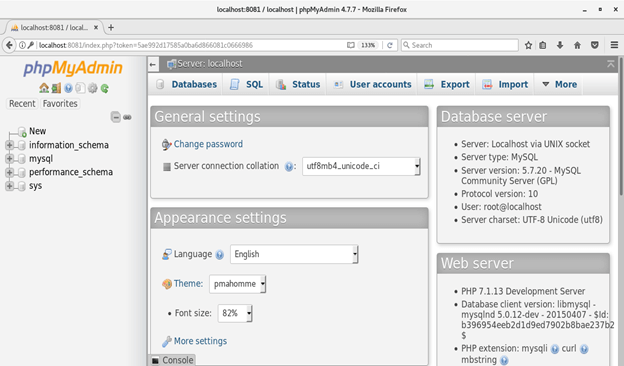 We can access phpMyAdmin by typing localhost:8081 in the browser's search bar. The browser shows the appearance like following. Enter the Database username and password. Press Enter to continue. This will log into an interface known as phpMyAdmin where we can execute our SQL queries. 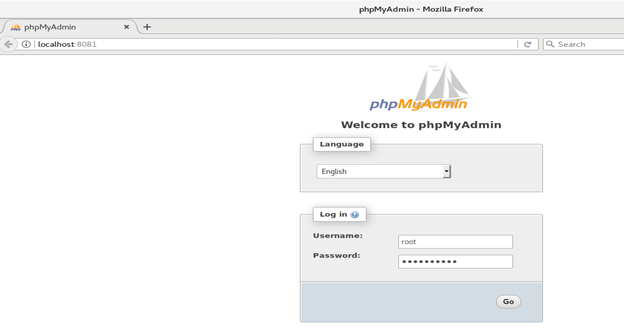 Hence, we have installed and get started with phpMyAdmin on CentOS.